Where have all the rock bands gone? I have found one recently, barely recent with their record released on September 9th, that I’ve fallen in love with. WATERS, dare I say it, is a one man band. But he isn’t the kind that hides behind his buttons and nobs. Van Pierszalowski, mouthful: yes, plays rock and roll guitars. Imagine that. Out In The Light rocks really hard and is embedded with indie rock charms, full of folk and romance. I love it more each spin. 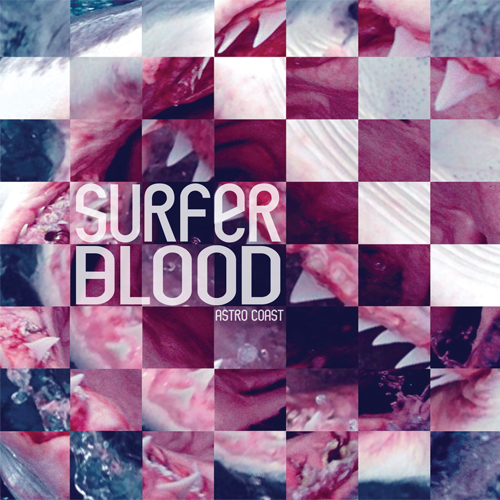 Another new romantic record happens to be from a returning favorite band, Surfer Blood. Tarot Classics EP is four songs too short, hence the romance. The listening is intimate because after the first time, you replay it out of bare necessity. It’s great to hear a band take their original sound from a debut, keep it, and manage to make something fresh. They still remain Surfer Blood – but you aren’t tired of them. Their catchy, wavy songs from Astrocoast are charming and unforgettable. And the new EP is a hopeful look into the future. It’s a new band who used their second release to show us that they wont be swallowed up in the blogosphere. That they wont be a one-record-wonder. That they might really have something to sonically show for themselves. I just hope more bands in this boat can deliver a sophomore record. Debut favorites from Yuck [who are already strangely releasing a remaster] WU LYF (below) and Unknown Mortal Orchestra only get my hopes up further. All of which, by the way, are excellent live shows. WU LYF’s drummer is the best I’ve seen all year. (Not sure if that will post what I want to precisely, but it’s the Love Me Nots on Pandora).